A poster is a product that, when printed on paper, fabric or synthetic material, may be used for advertising purposes or for personal use. In terms of communication, the advertising poster is a tool that is used a lot. The use of advertising displays was born with the first appearance of agglomerations. It allowed people to be informed about official decisions and legal texts. With the invention of the printing press came advertising posters for carnivals, political and religious protests and the lottery. The advertising display appeared between the seventeenth and eighteenth century, with copper engraving. It was used to promote shows, transport companies, new shops and also military recruitment and sale of slaves. Visual communication material, is the use of advertising display to send a message to people. Traders, manufacturers, banks and companies often use it to inform their customers about their various offers and increase their turnover. Advertising displays may not be for profit. It can act as an information or awareness channel and can be intended to reach a well-defined layer of the population or the entire population. According to the information wanted to be conveyed, the advertising display can take on several different forms. 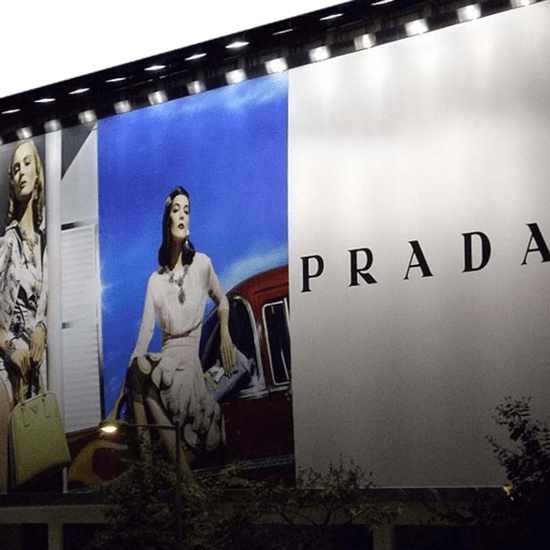 Since the advertising poster is a product that is intended to be used to convey a message, it is most often composed of a structured text or message, a logo and an illustration. The structured text or message completes the illustration. It includes an introductory sentence or catchphrase to grab the reader’s attention, information is provided to inform people about the product (name, price, composition, etc. ), a type of persuasion to convince the reader and a slogan. The slogan must be easy to remember and striking enough to arouse the curiosity of the reader. The logo may be a symbol or a sign of ownership belonging to a group or association. The illustration may be a drawing or a photo related to the theme or the product involved. It is intended to arouse the interest and curiosity of the public. It offers a representation of the benefits that the reader will have to consume or purchase the product. It plays not only an aesthetic role, but also a symbolic role. There are two types of advertising displays: the mobile display and the fixed display. The mobile display includes the use of different things such as taxis, vehicles, common means of transport, etc. Fixed advertising is the most common. It includes the use of billboards, showcases, walls, street furniture, spaces specifically reserved for this purpose. It captures the attention of readers for a longer period of time. The advertising poster exists in several different forms that Franprint offers. 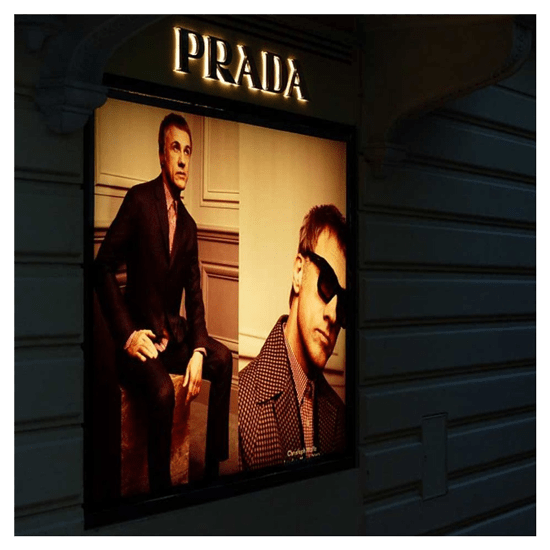 Posters that are backlit with advertising displays or light boxes. Installed most often in the agglomerations, with a lighting and rotating system, that attract more attention. Posters that can be pasted on to different things such as public bulletin boards, facades (the front of a building), corridors, walls, wharves (an area near to the edge of a river or the sea), panels and others. Large formats for urban and rural areas. Argumentative advertising intended to convince or modify the point of view of the recipients. It is generally used during the period of sale or destocking by merchants to attract customers. It specifies the pay period and mentions the reduction rates. Franprint offers you these different posters, printed in four-color process, in different materials and without size limit. The model 2Ox30 cm or A4 format: It is used for announcements of promotional offers (sales) or to announce events (evenings, shows, circus, concerts, etc.). This poster is usually placed on shop windows or stuck on street bulletin boards or walls. The model 50×70 cm: Intermediate model of poster, it is used for wild, informative advertising displays. This template is convenient for announcing promotions, sales and all kinds of events. It can only be printed on the front. The 4Ox60 model: This model is equivalent to the A2 format. A poster for the large format category, it is often used for advertising poster quotes. It is for professional use only and cannot be printed with a personal printer. The model 60×80 cm: Poster A1 of the large formats category, it is intended for billboards and can be printed in a single colour or in multiple colours. The 70x 100cm model: Still called AO format, it is a high-visibility poster suitable for billboards. The model 29.7 x42 cm or A3 format: With a printing surface of 1.250 cm², this type of poster is one of the most used. It can be printed for personal or professional use. Targeted at a specific audience, the A3 poster is ideal for catching the reader’s attention about the advertiser’s message and can be printed on both sides. 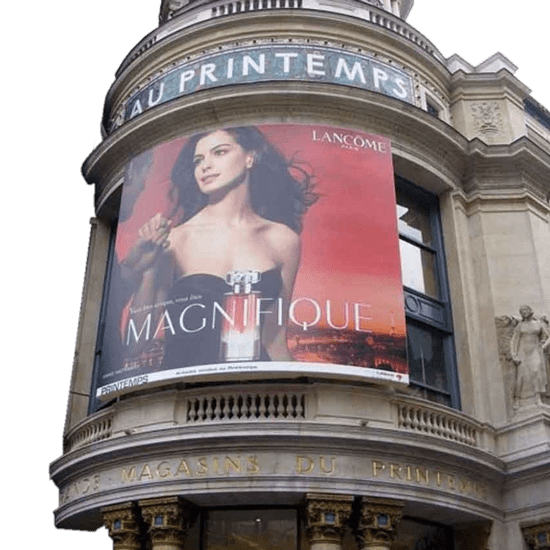 The poster 4×3 or 4 by 3 meters: This is the largest outdoor display format marketed by specialized display networks. It “enlarges” the messages so that we cannot easily miss them. This poster is recommended especially for advertisements promoting commercial products. This type of display can only be installed in cities with more than 10,000 inhabitants. It is intended for billboards. It can also be stuck on buildings. There are many other poster printing formats. For poster printing, we offer two printing modes: digital printing and offset printing. Digital printing is suitable for poster prints not exceeding 500 copies. It offers good print quality and is quite economical. However, with digital printing, for outdoor posters, the use of a varnish (to be added to the print) is necessary. We use offset printing for large quantities. It is suitable for all kinds of media. In addition, offset printing offers great results in a short time. We have the ability to print up to 30,000 A4 sheets per hour. Before producing posters, it is important to choose the material on which you want to print it. We print advertising posters on paper, fabric, PVC… and many other materials. The textile poster (made on fabric) is generally used for indoor display, although our fabric is also compatible for outdoor use. Do you want to make your business more visible or convey a message? Franprint is at your service for all your advertising and announcements needs. We also take care of the design, graphic design and printing of your advertising material.